The journey to write this book began many years ago. I will not recount the miracles, signs and wonders that led down the long path which brought me to the knowledge that God wants His children to visit Him in Heaven. That can be found in the free book, “Angels Believe in You.” As I begin writing the "Roadmap to Heaven" (now available) let me share the prophecy given about this book. I met Kristy through a class I was teaching at my church. Our passion for the Lord paved the way to a fast friendship. Often we would be watching or reading the same thing at the same time without consulting one another. Kristy had a couple of dreams that verified that we needed to go to the Fire and Glory outpouring in southern California. Once interpreted, these dreams indicated a healing awaited her in California. The Holy Spirit had placed this desire with great urgency upon my heart. The trip was a great growth experience. The Holy Spirit was manifesting the joy of the Lord. The first night there, May 24th, a couple of women were overcome with raucous laughter during the offering message. Many people were hit by the fire of God which caused them to fall to the ground or upon their chairs and twitch. The Bible also tells us that on the day of Pentecost when the disciples were overcome by the Holy Spirit many thought they were drunk, so outrageous behaviors under the influence of the Holy Spirit is not unheard of. We stood in agreement for the truth to be revealed about these bizarre manifestations and continued going to the meetings every morning and night. The manner in which is was given. The content of the prophecy. Earlier in the week when we first arrived, the Holy Spirit whispered to me, “No man will publicly prophesy over you. 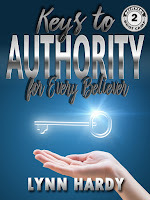 It is God who anoints and appoints you to your position, not man. No one will pray over you to receive gifts or an anointing.” I had figured that this trip was mostly for Kristy, so I wasn’t too surprised by this revelation. For this reason, it took me off guard when the Holy Spirit said, “This is for you…” as the morning speaker was prophesying over the host's mother. I thought, “Thank you Holy Spirit for confirming that was for me.” I mentally chuckled to my Friend. James began by saying that Mrs. Nelson was worshiping the Lord in her car and that God was giving her a new sound that would bring a financial breakthrough for her and her family. That was for Mrs. Nelson. There was more, but most of it applied in a personal way. During the middle of the prophecy James stopped to pray for God’s anointing to come upon Mrs. Nelson and then later for seer and watcher anointing to come upon her. This was exactly what the Holy Spirit was saying about why I was hidden from all the speakers at this meeting; when they see something they pray for an impartation of that gift or anointing for the person before them. To my great embarrassment, I didn’t pay too much attention to the speaker’s words because much of what he was saying God had already been telling to me when spoke with Him during my prayer time. I figured God was just confirming what He had already said to me. We went to lunch and Cory gave his testimony. Cory’s mother-in-law, Kathy was a Spirit-filled believer. He “put up with” Kathy’s strange beliefs, and even went to the tent revival meeting when she asked him to; she was acting as an usher so the family went to support her. At the end of the night, the altar call was given and Kathy waved him forward. As she persisted, Cory went meandered toward the prayer line. “How ‘bout we do the prayer to take Jesus as Lord, just to make sure?” the person asked. As the person began praying, a bolt energy surged through him. He couldn’t even stand. Two men helped hold him up and before long, strange words poured from his lips. In the coming days, Cory discovered that when Kathy did that weird type of praying in a unknown language, pictures would come to his mind. He had received the gift of interpretation of tongues as well as speaking in the Heavenly language. This testimony softened Kristy’s heart. Perhaps all the strange things were the doing of the Holy Spirit. When we returned for the evening service, another young man, Christian, asked if he could pray for us. As Kristy was prayed for, a few barks of laughter sprung from her mouth. Afterword I asked, “Were you laughing because Christian was trembling so violently as he prayed or was it the Holy Spirit laughter?” Kristy confessed that she had not intended to laugh. As the service began she took a moment to repented for her earlier thoughts and words. At the end of the service a prophetic word was given to Kristy which brought emotional healing. The pain she experienced because of metal rods and pins in her back had been healed, too. Her excitement drew us in and when she asked, “Does anyone here want to give the Holy Spirit permission to totally overwhelm you? To take control and use you?” The entire audience surged to their feet. The worship team began playing as we invited the Holy Spirit to have his way among us. My eyes were closed and my hands were raised when I felt a shock on the outside edge of my index finger. I leaned over and whispered to Kristy, “Did I shock you?” A puzzled look crossed her face as she shook her head “no.” I was unsure what it meant, but would soon find out. We retook our seats and the pastor began giving his offering message. The world began to seem soupy… kind of foggy, almost surreal. Earlier in the week one of the speakers had told a story about a time when the Holy Spirit had him toss money directly on the stage. I leaned and whispered to Kristy, “I dare you to go and throw this money up on the stage…” I handed her the wad of money from my purse. I would have done it myself, but I didn't trust myself to walk in the heels I was wearing. She looked at me as if I were daft. When the minister began saying that there were 15 people who would sow 1000 and asking people to raise their hand if that was them my thoughts sprang from my mouth, startling me, “That’s wrong! If God said that he should wait and let God do it and praise Him for it, not pressure people into it!” Much like it is in the natural sense, I had become drunk without knowing it. I was drunk in the Spirit who has flowing from me without much control. Irritation consumed me: this was a man who operated in great levels of faith with the gifts of the Spirit manifesting in his services, yet he was failing to trust God to do as He said. I tried to distract myself by leaning over the woman on my right to whisper to a Mindy who I had met a few days earlier. Mindy began to giggle. Like laughter born out of exhaustion, it was contagious. A giggle escaped me. Before I knew what was happening a loud bark of laughter sprung from my lips. I hid my face in the arm of the woman next to me trying to quiet the loud barking, belly laughter that poured forth. After some time I realized that I didn’t even know this woman who I was leaning into. I rolled over and hid my face in Kristy’s shoulder trying to quite the noise sprinting from my lips as the minister continued giving the offering message. Suddenly, Kristy burst out laughing. The Holy Spirit had granted us the wisdom we had asked for. Our question had been answered: the joy of the Lord can present itself as loud, raucous laughter. It can be contagious. It wasn’t long before the young boy next to Kristy began laughing too. The meaning behind the Hebrew words was astounding. (We will take a deeper look into this prayer in another chapter) I followed the instructions carefully, saying the prayer each day. I also claimed the promises I discovered in the meaning of the Hebrew words. As I crawled into bed and my thoughts centered on Jesus a soft caressing wave of tickling energy cascaded down me. In the past I had taken this as a call to practice meditating on the Lord and believed it would eventually lead me to visit Heaven. I have since realized that the Lord will call me when it's time for my trip and the meditation is quiet time with Him. Unsure of what, if anything, would happen, I relaxed, focusing solely on Jesus. Thoughts of the day crowded in and I pushed them aside. I focused on how much I love Him and how much He loves me. As the meditation turned to worship I found myself looking at a ridge and a cloudy sky. The colors were gray and muted. Hovering in mid-air, it was like a dream where you aren't conscious of your body. On the ridge lay a pristine white circle with a metallic shiny royal blue ring around it. The metal was flat with square ridges. Inside the white circle was four words made out of the same metallic blue, one hovering over another. Although there was no possible way for me to know that their were four words piled one upon another, I just knew there were. “Holy Spirit, what does that say?” I asked. The words began floating up out of the ring and laid across the ridge; the first word on the far left and the last word next to the circle. I read the words then they floated back into the ring to be piled upon one another in the same order as before. When they were all back in their place the ring flew towards my chest. At the circle impacted me, I sat up in bed, repeating the four words. The second time I tried to say the words, they were gone from my mind. He also told me that the blue ring was the engagement ring for the Bride of Christ. In dreams and visions blue often represents relationship and communion. This interception applied here: He as our intended and we are His bride to be. Glancing at the clock I noticed it was after midnight; several hours had passed though it felt like I had only been meditating about thirty minutes. I spent some time thanking the Lord for the gift and the experience. It was after three before I could get to sleep with the excitement of the night. God had given me a great gift. Before the sun rose, the enemy came and retaliated. At seven, my husband called into work letting them know he would be staying home with a cold. When I got up to use the restroom, the room spun around me. The vertigo was so bad that I was throwing-up by eight. A few summers ago I had my first experience with vertigo - it is not as fun as it sounds. This was so much worse. If I moved my head more than an inch the room spun and my stomach churned. But that wasn’t the worst part of it. My whole body felt weak, like I was going to faint. I asked Tony to stay close by, afraid that I would pass out while puking and suffocate. I told him if I didn’t get better soon, I wanted to go to the Emergency Room. The suffocating darkness lurking close to me, threatening to push me into unconsciousness, was not normal. It was unlike anything I had ever experienced before except when I had a reaction to pain killers and my blood pressure plummeted so low I had to be rushed to the hospital. I hadn’t eaten anything or taken any medication, so this was not right. Kristy prayed, going to the courts of Heaven on my behalf. I thanked her and hung up. Some of the symptoms faded immediately and my husband gave me a chewable Dramamine which took about half the vertigo away. However I still felt like I needed to puke and poop all at the same time. Kristy’s prayer had pushed the mind-numbing darkness back enough that I could now form complete thoughts. It came to me that God had moved mightily in the Heavens to give me that gift and the enemy had put charges against me in the courts. I asked the Holy Spirit to help me find where I had erred. A memory flashed into my mind. Two days ago on Saturday I had told my family that we would be doing home church since my sister and her grandkids were visiting. We got so busy that I didn’t do anything more than say my morning prayers. “Lord, forgive me for forsaking the Sabbath, for not putting time aside for You with my family. I plead the blood of Jesus over this sin.” I continued, entering the courts and asking for any judgement against me to be dismissed. Next I commanded Satan to take his hands off me and declared that I was healing by the stripes of Jesus. Instantly all the symptoms vanished. No more nausea, every trace of vertigo was gone, and I was hungry! Who is hungry after they have thrown-up twice in the last two hours? But my stomach had stopped doing summersaults and was now rumbling with hunger! I was still tired from the lack of sleep. My stomach muscles were sore and my throat was raw from the acid, but otherwise I felt right as rain. This is a perfect example of what is mentioned in the free book, Why Doesn’t God Speak to Me? and is explained further in the Destroying Curses in the Courts of Heaven. God moved and gave me a gift. Satan saw this and looked for a reason to place charges against me in the courts of Heaven. Because God had moved strongly, Satan was allowed to attack just as strong. 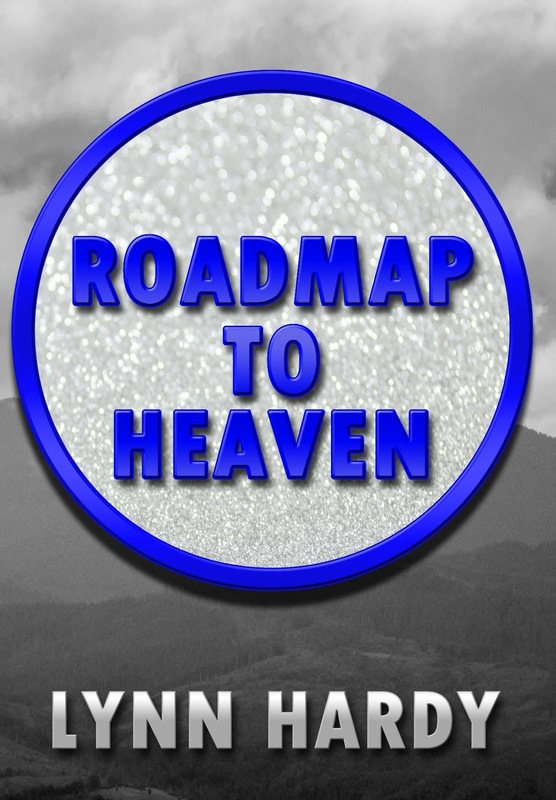 I knew that this was for His purpose and would have to wait on His timing for the “Roadmap to Heaven.” The first step to get to the Secret Place, the first road sign, came two months later. A week later the small voice of the Holy Spirit told me I was getting behind, that I needed to begin writing this book. Although I have only received two of the four directions to the Secret Place, I am doing as I have been told, trusting the other pieces to come. This is the first time I have begun writing before knowing exactly what a book will contain. You can find the free book on most ebook platforms. Click here for the kindle version. 'Although the blood of Jesus frees us from the consequences of the Law of Moses, it only does so once we repent and apply the blood. We don’t get to go to Heaven because we know that Jesus is the Son of God; we must confess it out loud and claim Him as our Lord'. Wow. It is so admirable of you to pour out so whole-heartedly.